This book offers clear, practical, and simple recommendations for treating patients with personality disorders. 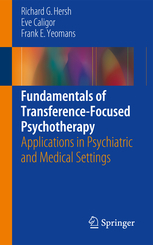 The goals of the book are twofold: 1) to describe the essential elements of Transference-Focused Psychotherapy (TFP), an evidence-based treatment for Borderline Personality Disorder, and 2) to describe how core principles and techniques of TFP can be used in a variety of settings to improve clinical management of patients with a broad spectrum of personality pathology, even when patients are not engaged in individual psychotherapy. 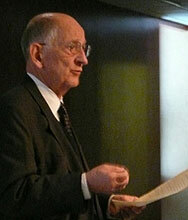 A short introduction outlines in concise language the core elements of TFP and its origins in object relations theory. The book then takes the clinician through the process of: 1) comprehensive diagnosis, 2) negotiation of the treatment frame, and 3) the overarching strategies, techniques, and tactics used in the individual treatment, including helpful, accessible clinical vignettes. Subsequent chapters build on the literature of TFP in individual psychotherapy, broadening its applications to include crisis management, family engagement, inpatient psychiatry, pharmacotherapy, medical settings, psychiatry residency training. Fundamentals of Transference-Focused Psychotherapy is a valuable resource for psychiatrists, psychologists, and all other medical professionals treating patients suffering from Borderline Personality Disorder, and other severe personality disorder presentations.